just my little mess: bike ride anyone? Happy Friday Eve everyone! 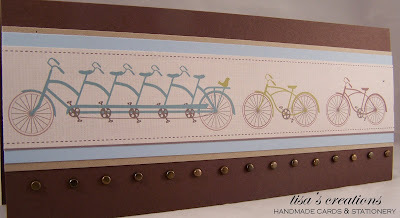 Here's my latest creation and I love this card...well, I love these bikes. This card was so super easy. I guess that's what I'm into now...EASY!